This ultra-modern open plan office space is perfect for a small to medium sized up-market company seeking an office that will impress from the moment you walk in the door. Fully furnished and kitted out with all office requirements such as a sound proofed board room, projector, glass desks, front reception, executive private lounge, bar, kitchenette, toilet, server room, computer equipment with art and fixtures this office is the highest rating an office space can receive with a AAA+ rating. 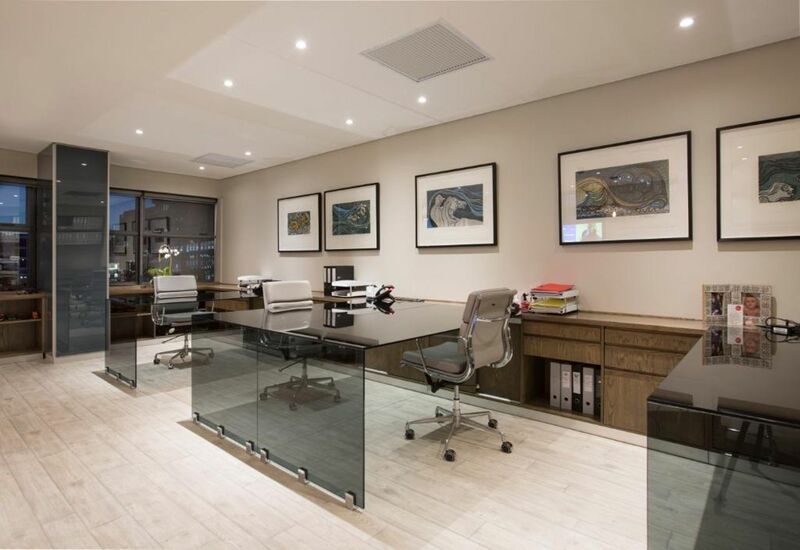 Located in an ultra-secure block with elevator access to office and finished off with 4 additional in building parking bays in a prime location at the bottom of Cape Town CBD. Opportunities like this are rare. Rental at R60,000.00 per month all inclusive.